Up until recently, if you wanted a laptop with a 4K screen there was only one option. You had to buy a Toshiba Satellite P50T. Toshiba released the P50T in April. Its 4K touchscreen looked great and it caused quite a stir when it was released. For a short while it looked like they were going to corner the market, but in July, Lenovo released their IdeaPad Y50 UHD. The two 4K laptops have some great features. 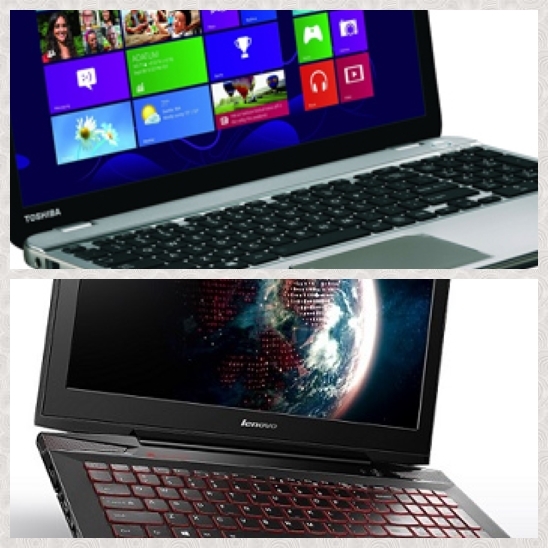 Price wise the Lenovo IdeaPad is cheaper, (starting at $1,299.99,) whilst the Toshiba 4k laptops cost from $1,499.99. Bringing 4K to the laptop market has taken longer than anticipated. Lenovo planned to release their Y40 with a 4K screen. However, when it was released, in January, the Y40 had a HD screen instead. The main problem seems to be sourcing the screens. It is still a relatively new technology and up until recently, manufacturers have focused on producing TVs and cameras with 4K capability. Toshiba had issues within a week of releasing their 4K model it was withdrawn, but became available again a month later. There are two Toshiba models to choose from the P50T-BST2GX2 that features an i7-4710HQ processor and 12GB DDR3L memory. The P50T BST2N01 has an i7-4700HQ processor and 16GB DDR3L 1600MHz memory. The Lenovo laptops are being specifically marketed to gamers. It features a powerful Core i7 – 4710HQ processor. The Nividia GeForce GTX 860M video card combined with 2GB of video memory and 8GB of DRAM ensures that lag is not an issue, and that gamers can make the most of the stunning 4K screen. For just under $1,300, you get a lot for the money. The $1,599.99 model features a Core i7 CPU and has the GeForce GTX 860M but there is 4GB of video memory and 16GB of DRAM. All of the 4K laptops run Windows 8. The Lenovos feature 802.11ac Wi-Fi. There is a HDMI connector and two 3.0 USB ports.